We truly believe that the information and tips we offer visitors are valuable and hit the mark, while also worrying the scammers. How do we arrive at this conclusion? Simple… Hackers have been working hard to shut us down, so we must be doing something right! 1. We have had dozens (if not hundreds) of brute-force attacks on our website from countries all over the world. Attacks started in eastern Europe from the Ukraine, Moldovia, then Italy and Russia. However, we’ve also seen attacks from China, Brazil and Australia. In order to reduce the attack vectors available to those trying to harm our site, we had to block all access to our website from most of the world. Check out the list of Internet addresses below. They represent 508 attempts to hack our website during just a 3-day period in early September! 2. Our website has been successfully hacked twice shutting the website down for a day each time until we could fix the problem. Each hack occurred in the wee hours of the morning, setting off alarms from our security software. 3. Since we locked out most of the world, we are notified weekly of multiple lockouts from attempts to log into our website as an administrator from somewhere inside the United States. Our website is run by too tired dads with too much to do and too little time. We live right next to each other. We are certain that the only administrators who should be logging in come from our neighborhood. 4. We have had at least two DOS (Denial of Service) attacks on our website making it impossible for visitors to use our site. Each attack lasted about 2 days. Admittedly, these DOS attacks were part of larger attacks to Word Press websites all over the U.S. but we also have or manage many other Word Press sites and none of these other sites came under attack. Just The Daily Scam. We will continue to do our best to bring you these resources because we, and our families and friends, are sick and tired of being taken advantage of by these virtual criminals. We suspect you are tired of it as well. UPDATE January 1, 2015: Check out the hack attacks that have been targeting us between December 12, 2014 and January 1, 2015. If you are bored, and curious, try copying one of the IP (Internet Protocol) addresses below and entering it into an IPLocation service such as http://www.iplocation.net/ to see where in the world the attack came from. The first IP (78.6.228.32) came from Rome, Italy! 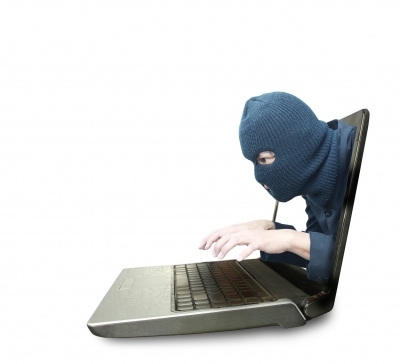 Thank to FreeDigitalPhotos.net for the use of the graphic computer hacker!